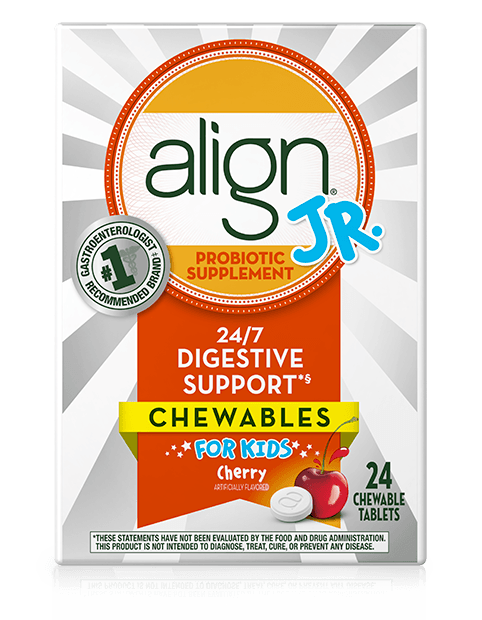 HOW PROBIOTICS FOR KIDS CAN HELP WITH KIDS’ DIGESTIVE HEALTH? 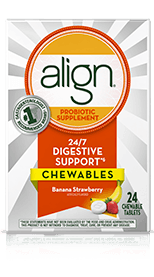 Probiotics are good bacteria that provide health benefits and are essential for many vital body functions, including healthy digestion. 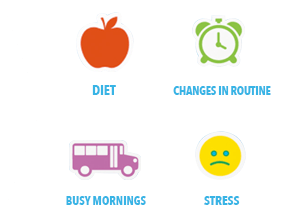 Much of the bacteria in your child's digestive system are good, but common issues like diet, changes in routine, stress, and busy mornings may disrupt your child’s digestive health. 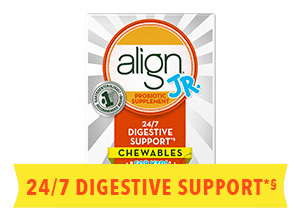 Align Jr. is probiotic for children that contains the unique pure-strain probiotic Bifidobacterium 35624, which can give your child 24/7 digest support§* with a simple daily dose. 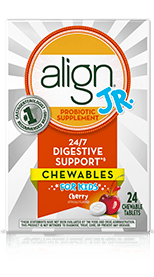 Align Jr. is a probiotic for kids from the makers of Align, the #1 doctor and gastroenterologist recommended brand for 9 years in a row.‡ When searching for the best probiotics for kids, take a moment to consider Align. 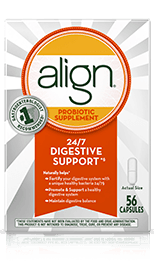 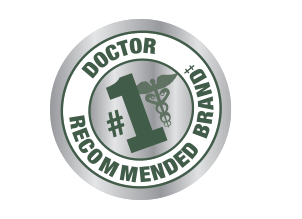 Align is recommended by doctors and gastroenterologists twice as often as any other probiotic and is also the #1 doctor recommended probiotic brand.‡ Only Align Jr. contains Bifidobacterium 35624, a unique natural probiotic strain for kids or adults that’s not available in any other probiotic product, including store brands.